I wanted to share this photo that I took the other day. It's as you can see a white feather. 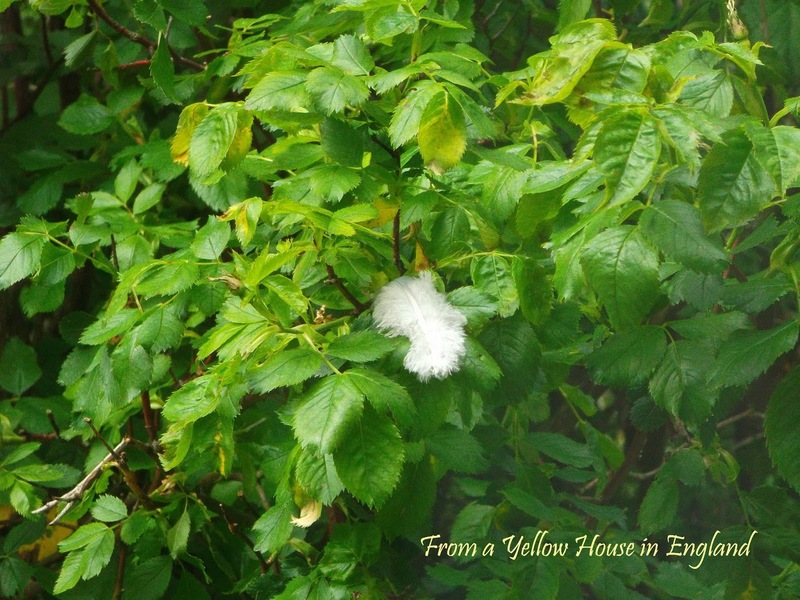 It was so beautiful and it was just nestled there in the wild rose bush. It was such a sweet surprise to see it there, right where I could see it from the window. It was in perfect view...not too high, not too low.